Have you seen everyone posting pictures of their mastermind groups on Instagram lately and wondering – what are these mastermind groups all about? And how can I join one? Whether it’s a paid mastermind group, a free one, or one you start your own, there’s a right way and wrong way to start one and tons of things you should look out for before joining one! I can first hand say that starting and being in a mastermind group has completely changed my business and my life. I’ve made more money, have better relationships, and have the support and feedback I need to keep my business on the right path! 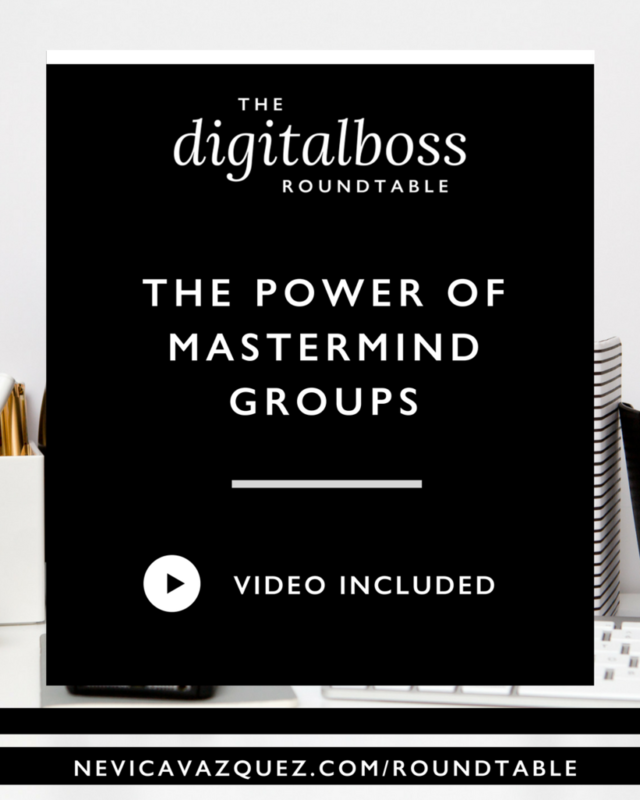 I believe everyone should join a mastermind group that can give them this type of support and accountability – that’s why I’m joining Becky Mollenkamp and Lauren Carnes to talk about the power of masterminds! What is your definition of a mastermind group? At its fundamental core, it means group think. Any time you have a group of people come together and put their brains together on any kind of topic, that’s a mastermind. There’s two ways of looking at them. There’s the more formal group coaching type of mastermind which is more structured. Or there’s the more DIY style mastermind where you can create your own thing, and it’s less structured according to how the group of people want to do it. Ultimately what it really means is getting great minds together to come up with something bigger and better that you can do on your own. It’s about bringing together minds to create and grow whatever element of your business or life you are looking to improve upon. When did you first join a mastermind group? How many have you been in? I started my first in person mastermind group two years ago. I was looking for one, couldn’t find anything local so I just decided to start one. I used Facebook and Twitter to get a group of people together. Since then one of us has moved but three of us are still together. My other mastermind group came out of a group coaching program. I am quite new to masterminds but I’ve always had local friends to call and text. So we almost had a pseudo mastermind group without ever calling it that! 🙂 We started that “group” about 2.5-3 years ago. We get together in person and do quarterly meetups and have dinner together, and talk business AND life. I’ve officially been a part of a mastermind group since last fall. We meet virtually every other week and we are hoping to start in person meetups too. Did you start it on your own or were you asked to join? Lauren: The first “pseudo mastermind” was initiated by me. It started with a desire to create a referral group for our wedding photography businesses. It started off as that and quickly turned into where we would share insights and help each other grow. Each episode I ask my guest to teach us about a lesson they’ve learned through their business and life experiences, by completing the sentence “If there’s one thing I know it’s..”. I’m always taken back by the incredible insight they have to share! 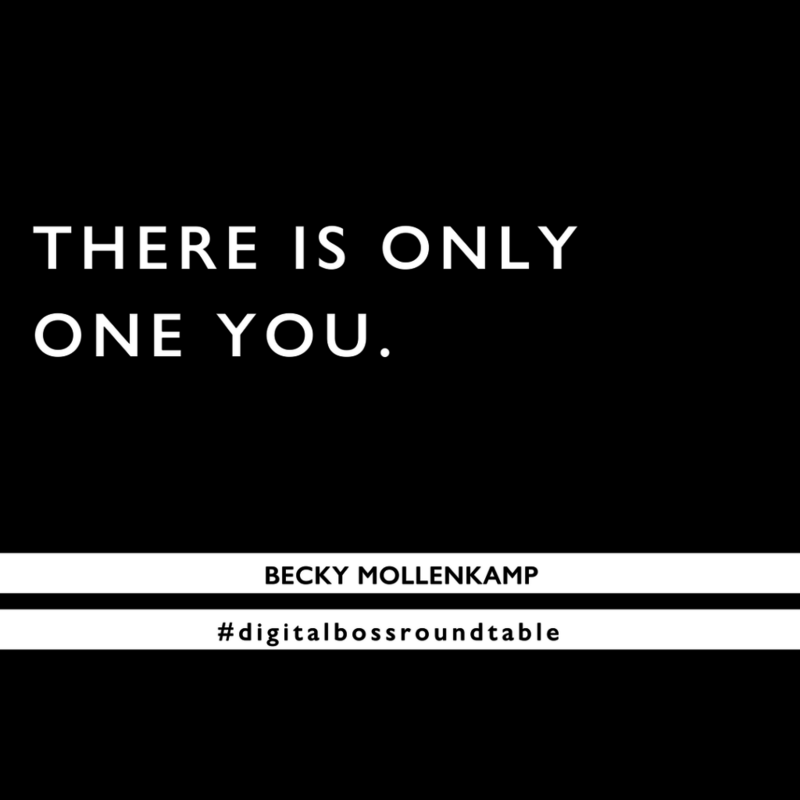 Becky: There is only one you. 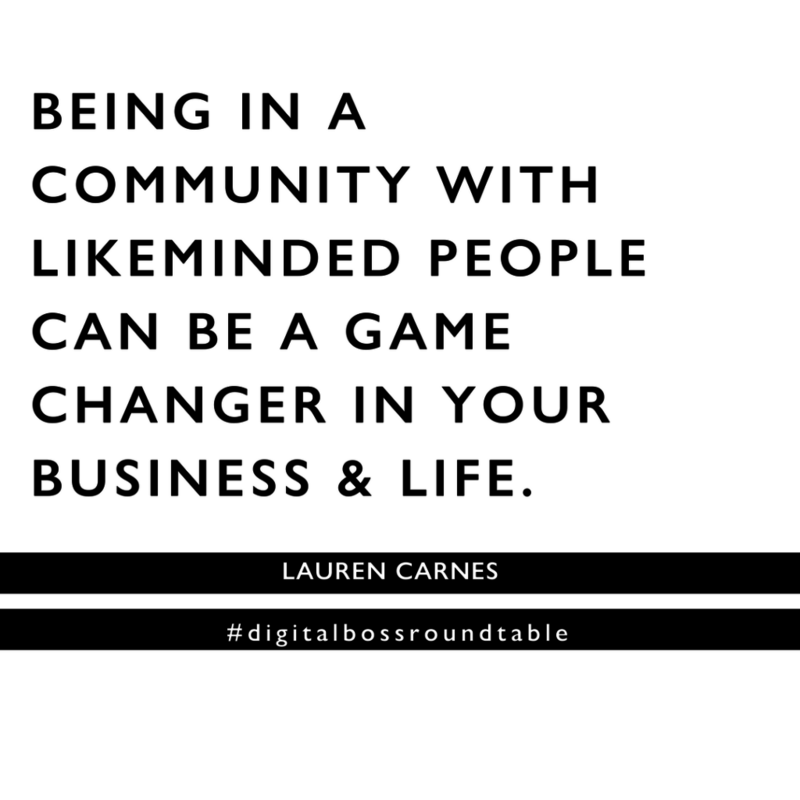 Lauren: Being in a community with other likeminded people can be a game changer in your business and life. Becky is a mentor for creative women entrepreneurs who tend to get stuck in their own heads. In her 1:1 mentoring program, she helps them get the clarity and confidence they need to reach the next level in their business. With a background in public relations and social media marketing, Lauren has always been a lover of telling great stories. For 6 years she worked alongside international brands including Nike, Airstream, the John Maxwell Company and Chick-fil-A in defining unique elements of their stories and serving as their brand voice through digital, print, and in-person engagements. After launching a photography business in May 2014, Lauren began focusing on merging photography with communications strategy by coaching creative, tech, and food-based businesses on aligning imagery and communications strategy. When she’s not in the office, she can be found cooking, hosting friends, or exploring new cities with her husband, Chip, and their rescue yellow lab, Sophie. To never miss an episode and be on live to ask guest experts your top questions sign up for Show Announcements here. If you’d like to be featured as a guest expert on the roundtable click here + fill out the guest form!